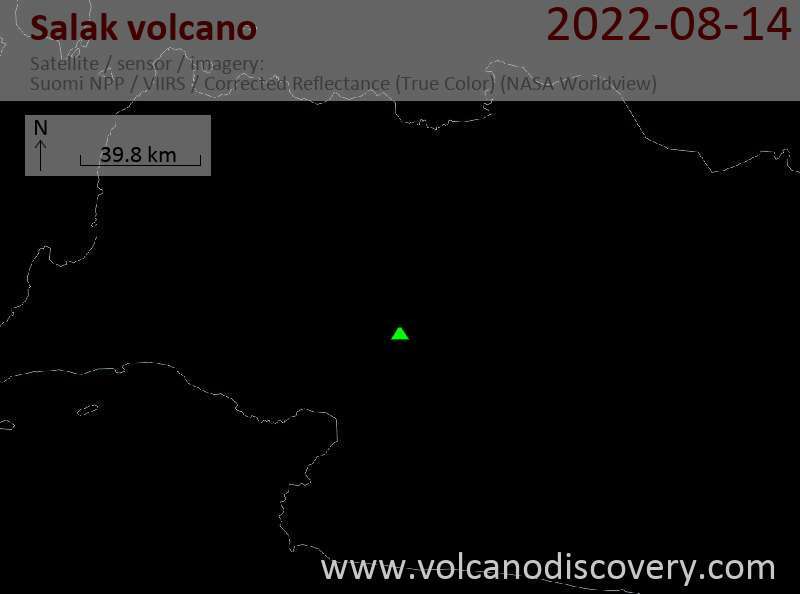 Salak volcano is at the NE end of an old eroded volcanic chain. 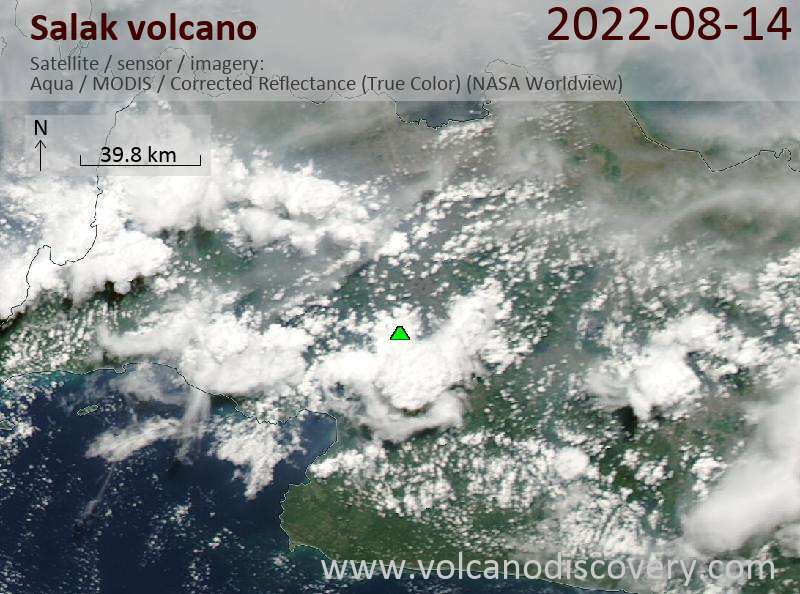 Historic eruptions from Salak volcano were phreatic explosions from craters on its flank in a prominent fumarole area. Salak volcano is an area with intense hydrothermal exploration. Flank cones occur on the SW flank and at the northern foot of the forested volcano. The summit is truncated by 2 large breached craters, one to the NE and one to the WN. The western crater breach originated from a debris avalanche that left a deposit extensing 10 km to the WNW from the summit.